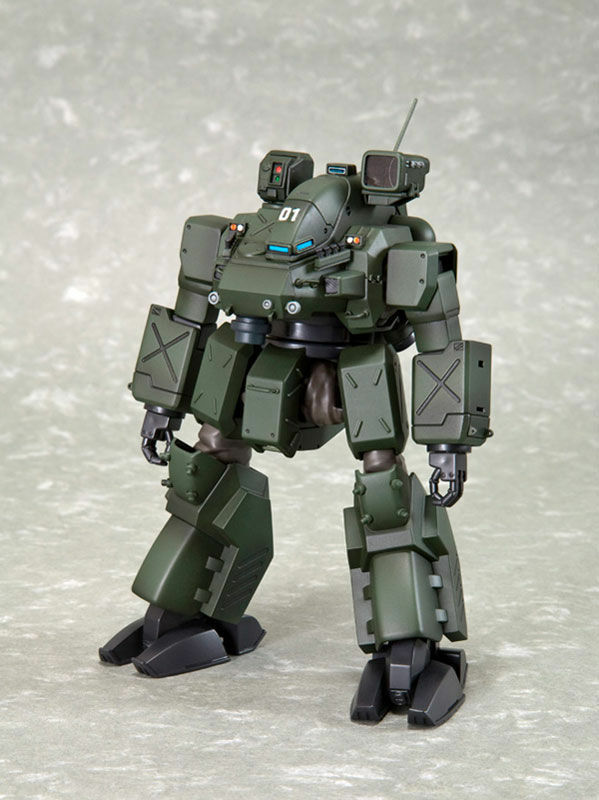 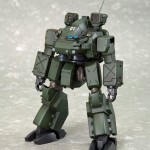 Kotobukiya has announced an Olive-Drab color version of its AL-97B Hannibal 1/72 Model Kit, the unfortunate mech to meet its end in the opening scene from Patlabor 2: The Movie. 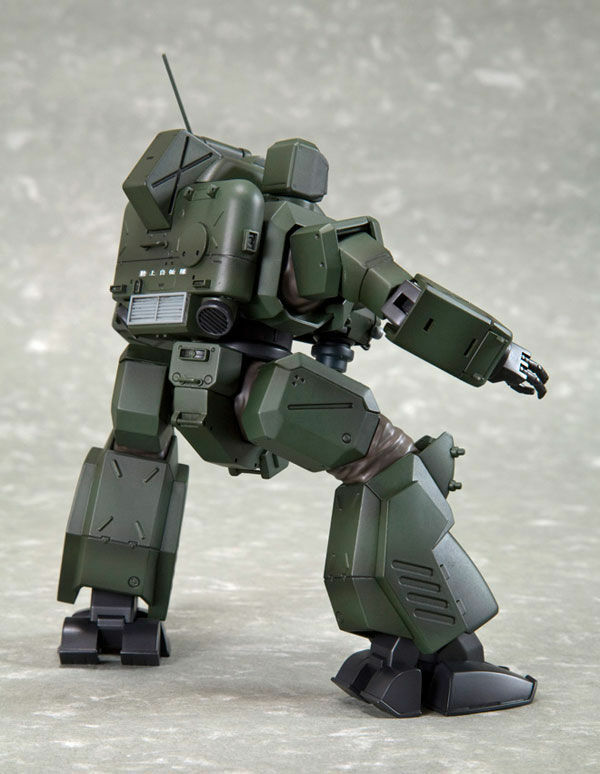 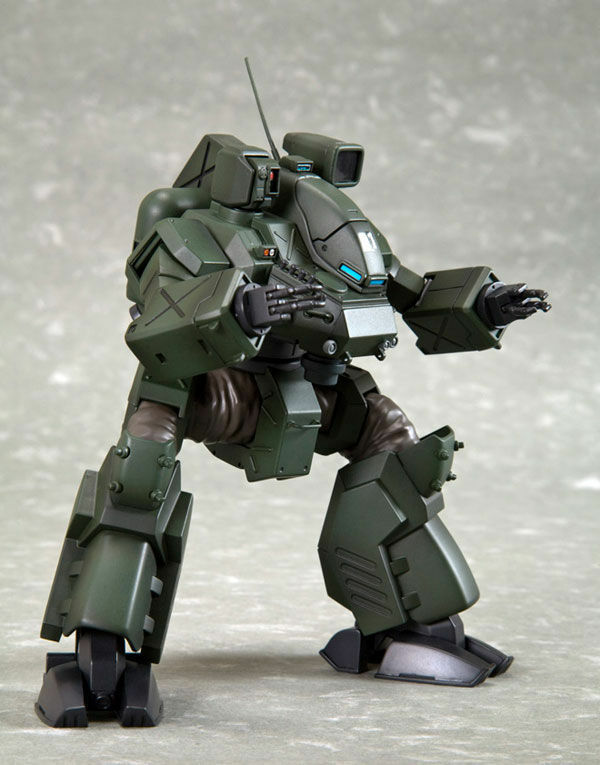 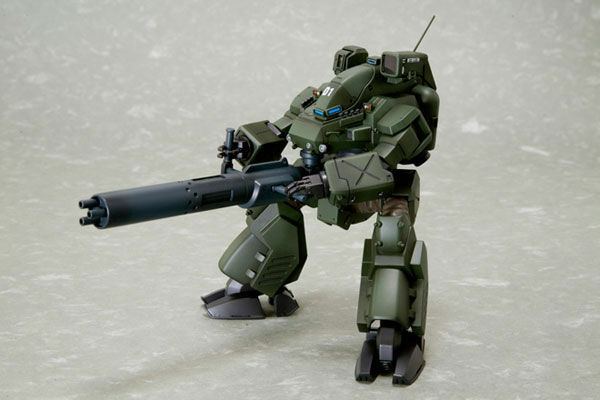 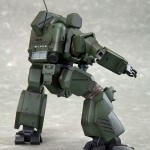 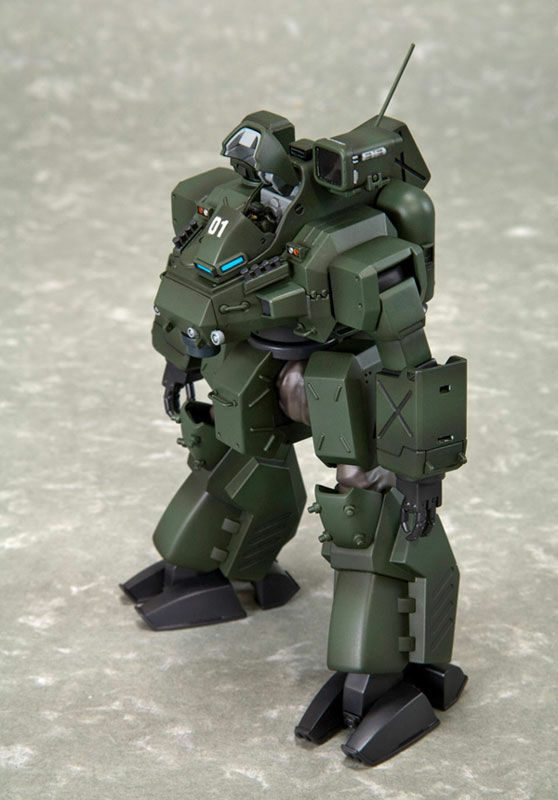 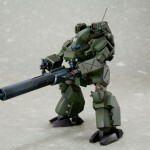 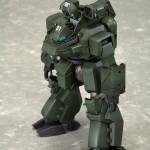 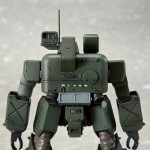 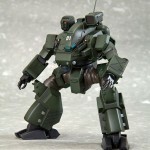 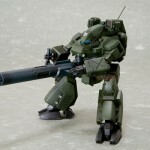 This recolored version of this grunt mech will come with a new hand-held weapon as well as alternate GSDF decals, and features all the same details as the original, including opening hatches and a clever joint design to give the appearance of realistic cloth covered joint work. 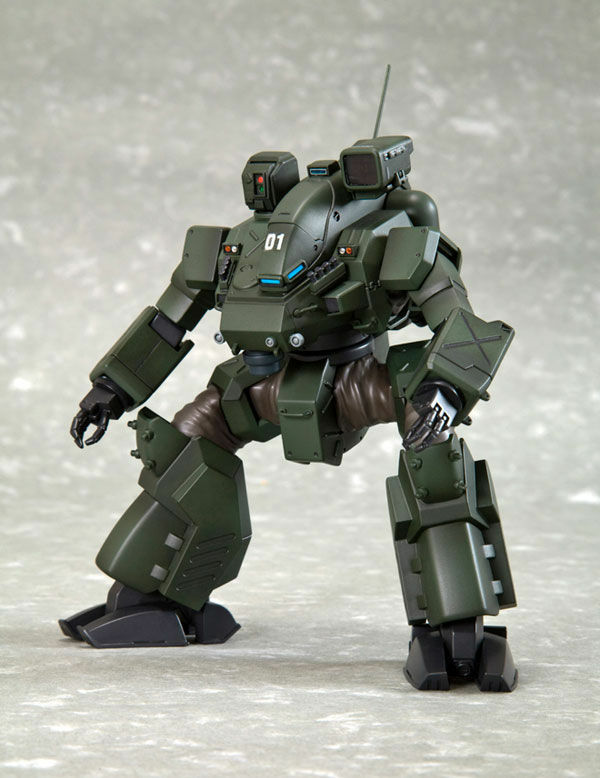 While it's not the color of the one that gets destroyed in the movie's opening sequence, it's a fairly neat recolor that's evocative of the Helldiver. 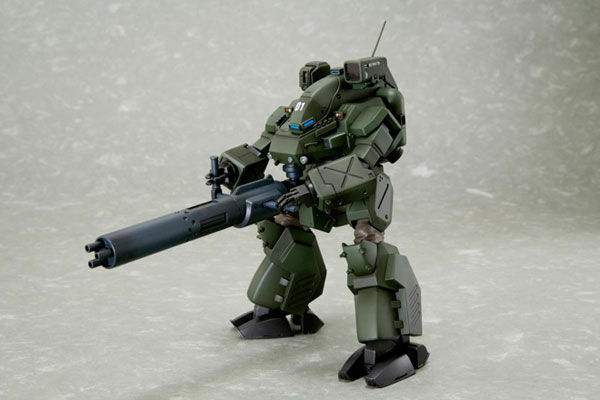 The added gun is a nice bonus as well as an incentive for people who had the first version. 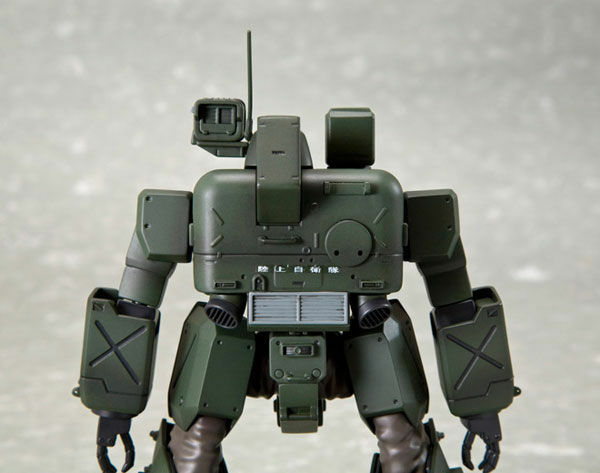 The real-robot look could even make it enticing for non-Patlabor fans. 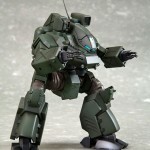 MSRP is 4,600 yen, coming June 2009.